Most modern police forces, including the FBI, have some kind of computerized face-matching system — but it involves laboriously looking through dozens of potential matches manually. NEC’s NeoFace, which was released last year and has since been deployed by a few police forces, is fully automated, highly accurate, and very fast. The FBI isn’t far behind with its own automated Next-Generation Identification (NGI) system, which has been slowly rolling out over the last couple of years (it’s expected to turn on fully this summer). The NGI database, containing millions of fingerprints, faces, and other biometric records, will eventually be shared with all federal, state, and local police forces in the US. NEC’s NeoFace and the FBI’s NGI both work in roughly the same way. The most important thing is that you need a big database of images to begin with — which, fortunately, the police is in possession of. The software goes through each of these images (potentially millions of them) and encodes them into specially tagged and formatted files. These files don’t store image data, but rather biometric data — the distance between the eyes, the length of the nose, etc. Many of these images will already be associated with a criminal’s police record, but that’s not a requirement. Later, to find a match, the investigator simply feeds a new image into the system — a photo, a still from a crime scene video — and the same encoding/tagging process occurs. 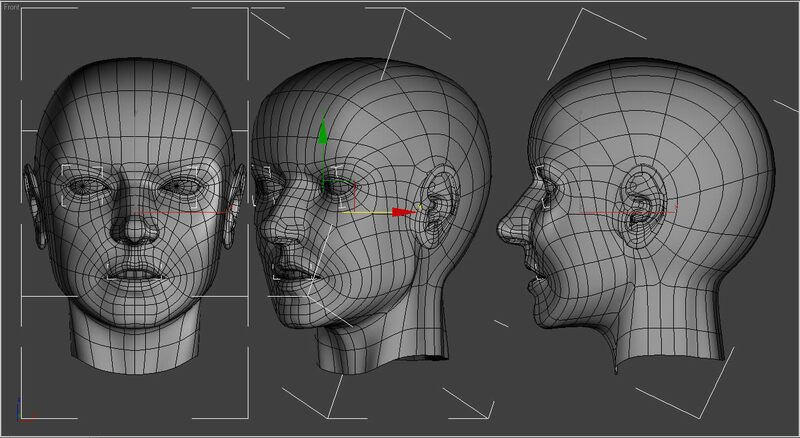 It is then a very quick process to compare the biometric markers from the new image against the entire database. In the case of NeoFace, there are also a couple of companion apps. NeoFace Watch watches surveillance footage, constantly picking faces out of a crowd — and then storing those faces in a database, or matching them against a predefined watch list. NeoFace Smart ID is a smartphone and tablet app that allows for the real-time collection and identification of fingerprints, faces, voices, and other identifiable data at crime scenes. As we noted at the beginning of the story, with around 6 million CCTV cameras — or one camera per 10 citizens — the UK has been called the world’s most surveilled state. Earlier in the year, British police also started wearing body cameras, which are very effective at collecting evidence in call outs and public order incidents. Couple this with its existing database of criminal mugshots, and some judicious scanning of public Facebook profiles (which link your face to your name), and you can see how the police now have a lot of facial data to work with. Andy Ramsay, one of the UK police officers using the NeoFace tech, said: “We have over ninety-thousand photos on our system and Neo-Face can compare someone’s image against our complete databases in seconds. Besides the speed it’s also impressive because it can even find family members related to the person we’re trying to identify.” Yes, if you look somewhat like your dad (i.e. you have the same nose or brow or lips) then NeoFace will probably throw up a potential match. The obvious upside to facial recognition tech is that it’s becoming increasingly hard to be a criminal. With 6 million CCTV cameras in the UK, there’s a really good chance that you’ll get spotted trying to mug someone or break into a house — and then you’re just a few seconds away from being automatically identified by some software. The downside, of course, is that any expectation of privacy is quickly evaporating. The standard refrain from governments, intelligence agencies, and the police, of course, is that good people have nothing to hide — but it’s really not that simple. With CCTV and facial recognition and license plate readers and NSA wire taps and even wearable computers like Google Glass, the concept of privacy is being rapidly eviscerated from our lives. When we know that we’re being watched and judged, we behave differently — we conform. Governments love this, of course — a docile population is an easy-to-rule population. But it’s not even conformity that most scares me — it’s the terrifying thought of what happens if these mass tools of surveillance are controlled by nefarious actors. In the hands of a good police, surveillance is a great way of reducing crime — but in the hands of an oppressive government or megacorporation, omnipresent surveillance is how society becomes dystopic, just like 1984. This entry was posted in Conspiracy, Technology and tagged automated, CCTV, facial recognition, software, surveillance. Bookmark the permalink.